Skin & Coat has been formulated to help your dog achieve a soft, silky, shiny and healthy coat. Contains natural ingredients to enhance overall skin and coat and add luster and shine. 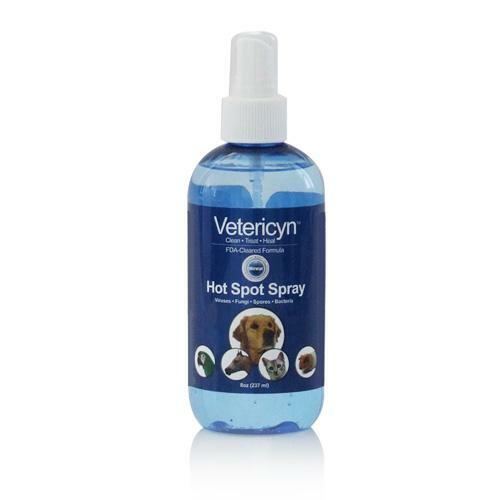 Skin & Coat includes a complete blend of natural ingredients to support dogs with seasonal allergies. Our advanced care tablet has been tested repeatedly for palatability in veterinarian clinics to ensure a high level of acceptance from all breeds. Tablets can be fed whole or gently crushed and added to your dog’s food. Contains Inositol and Brewers Yeast, a natural source of B Vitamins. 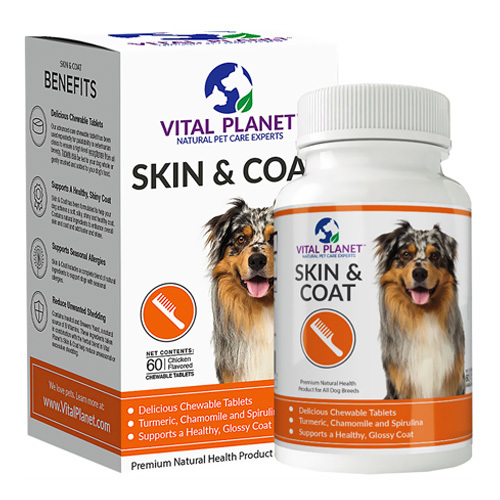 These ingredients taken in combination with the herbal blend in Vital Planet’s Skin & Coat help reduce unseasonal or excessive shedding.